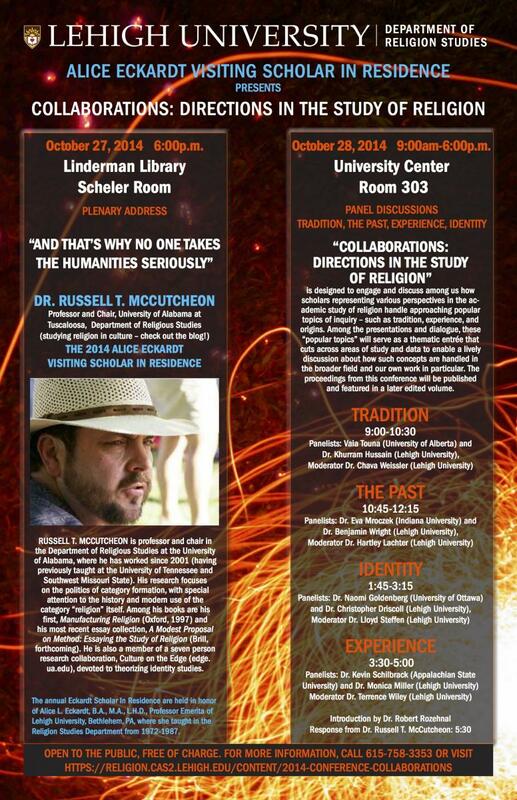 During the last week of October, Culture on the Edge‘s Russell McCutcheon, Monica Miller, and Vaia Touna presented at Lehigh University’s Collaborations: Directions in the Study of Religion. The Edge’s Russell McCutcheon delivered the Plenary address “And That’s Why No One Takes the Humanities Seriously.” The conference included panels on “Tradition,” with a presentation from the Edge’s Vaia Touna, “The Past,” “Identity,” and “Experience,” with a presentation from Monica Miller. 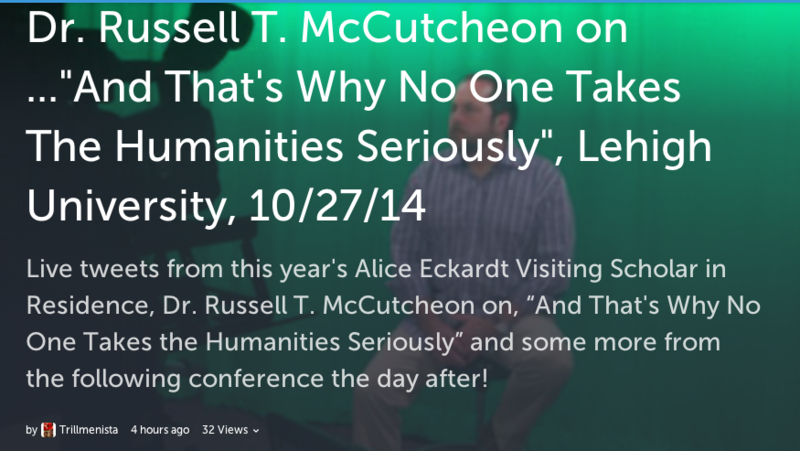 Lehigh University published a few articles on the conference, which can be found here and here. Lehigh’s own De’Anna Monique Daniels (@DeAnnaMonique) made a Storify of the Plenary which can be found here. Dr. Russell McCutcheon from Lehigh IMRC. 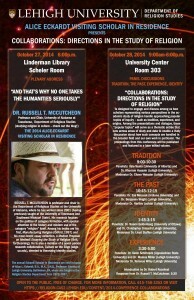 Special thanks to Lehigh University for hosting this conference and passing this along!